I’m Connie Ragen Green, and if you give me just a few minutes of your time, I promise to deliver back to you much more in return. In just a moment, on the page below, I’m going to reveal to you a simple system you can begin using right now (yes, I give you everything). This system will allow you to easily re-capture more hours in your day, more days in your week, and even more weeks in your year. It’s the perfect solution for you if you regularly find yourself looking back at at your day wondering what in the world happened to all your time, and why you have very few results to show for it. It’s going to help you take care of all the things you have to do on a regular basis, from the small stuff like checking email and reading the news, to the more important tasks, like building your business and spending quality time with your family. It’s so effective, I recently used it to take an idea from my initial thought about it to a complete ready-to-install software product in only 5 days. Better yet, I still had plenty of time to eat 3 meals a day (or more), get plenty of sleep, watch all my favorite TV shows, hang out with my friends, and generally do what I normally do. In other words, it turned me into an action machine! Yes, I want to Buy Action Enforcer now! Write down all the things you want to get done for the day. Everything from writing, creating content, or planning your next project to answering your email and balancing your checkbook. Assign a specific time to each task or group of tasks. Anything from 15 minutes to 3 hours. Chunks of 30 minutes or less work best. Select a task, start a timer (like an egg timer), and focus on nothing but accomplishing that task. This means you don’t answer the phone, you don’t get up for a drink, you don’t log onto Facebook – none of that. You remain focused on the task-at-hand! It’s as if it awakens an unstoppable force inside you that’s been asleep for way too long. Take a look at them again, then take 30 seconds and allow the structure and purpose behind these three steps to sink in. You’ll instinctively see the genius in the system. I can say this without sounding like I’m bragging, because I didn’t develop it, I’m just a true-believer in it. It’s called “time boxing”, and the true power in the system is that it forces you to focus, and focus is the magic key to getting more done, consistently. I’m no psychologist, so I can’t tell you for certain why this system works, but I can share with you what effect using it has on my brain in order to almost force it to want to take action on a consistent basis. An end-result or goal (each of your daily tasks) – Our brains love goals, big or small, because they’re built to be goal-seeking machines. Give your brain a goal, and it immediately goes to work finding ways to achieve it. A specific timeframe or deadline (the time you assign each task) – Once your brain has a goal, a deadline is the fuel that motivates it act! The shorter the deadline, the more revved up your brain gets. Believability (the order and structure of the system) – Instead surrendering yourself to lackluster results because you see your day as an overwhelming, uncontrollable mess, this system breaks your day down into small, manageable pieces that you actually see yourself getting done with ease. When you believe you can, you will! When these three elements are brought together, the synergy totally transforms the way you psychologically and emotionally look at all the things you have to do. So much so, that after you’ve used it for a while, you almost feel yourself getting addicted to taking action. I don’t know about you, but that’s a habit I can definitely live with! Because I personally experience the power of using this system, I knew others would benefit from it as well. But I also knew that some of these drawbacks, although seemingly minor, might either slow them down when using it, or prevent them from trying it altogether. In addition, it’s a well-established fact that the more your mind can visualize something, including your daily plan, the more real it becomes, and the more likely you are to take action on it. 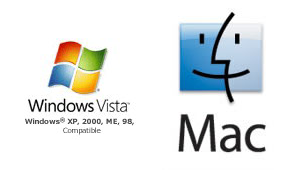 Fortunately, in our day and age, all of these can be easily solved with technology – software. Simple • Intuitive • Results! Those 3 words represent what Action Enforcer is all about. The goal behind Action Enforcer is simple: To give you a way to visually structure your day in a way that you feel absolutely compelled to focus, take action, and get things done, once and for all! When you use Action Enforcer, there’s no complicated time-management ‘system’ you need to learn or remember. Flip The Action Switch In Your Your Head From ‘NO’ To ‘YES’ – No longer will overwhelmingly big tasks paralyze you from taking little to no action. Use Action Enforcer to break these monsters into smaller, bite-sized pieces you WANT to eat! Laugh At Procrastination – Take any task you’ve been putting off, give yourself 30 minutes or whatever amount of time it will take to get it done, start your timer, and watch what happens. This simple process, which Action Enforcer automates, creates a ‘virtual’ space in your brain for that task that you feel unexplainably compelled to fill with its completion! Sharpen Your Focus – Using Action Enforcer regularly helps you get into the habit of eliminating productivity-killing distractions so you focus your concentration and energy to the task-at-hand. Build Unstoppable Momentum – With each task you complete using Action Enforcer, you build up a momentum that propels you to not only get more done, but get it done faster and more efficiently than ever! Control Your Time Instead Of It Controlling You – Using Action Enforcer helps you to become more aware of how and where you spend your time each day. As you become more aware of your habits, you easily discover ways to use your time more productively, and eliminate previously hidden time-wasters. In fact, there’s a built in reporting system within Action Enforcer that will tell you what you accomplished today, yesterday, this week, this month. No longer will you wonder where your time went, you’ll know … and if you’re not happy with where your time went, now you’ll have the ability to stare those time wasting demons in the face and say once and for all … “I’m in charge here!”. Make Time For Your Dreams – Are you neglecting your dreams and letting everything else gobble up your limited time, energy, and resources? Use Action Enforcer to make time every day to take even a little action to move you closer to things you want in life! Smash Those Nagging Small Tasks With A Sledgehammer – You know the kind; they’re important, and they need done, but they’re small and you never seem to find time get them done and cross them off your list. Use Action Enforcer, set aside a measly 30 minutes, and don’t just whittle away at your list – set it on fire! Limit Your Intake Of ‘Time-Snacks’ – Quit checking email, Twittering, and updating your Facebook page mindlessly, with no regard for how it’s eating-away at your time, then feeling guilty about it all later. Use Action Enforcer to ‘allow’ yourself a specific amount time to enjoy it as much as you want. Plan Your Day In Less Than 30 Seconds – Action Enforcer comes pre-loaded with dozens of common tasks, and you can add as many of your own as you want. With all your tasks readily available, you’ll have your day planned in no time! You don’t need reminded that your time is valuable, you already know it is! Your challenge isn’t seeing the value in your time, it’s probably the lack of a way to manage it for maximum results. Think about this: with what you’ve seen about Action Enforcer, do you think it’s possible you could reclaim 100 hours a year in your life that are currently being lost to who-knows-what? How about 75 hours? Or 50? Or maybe just 25 hours a year (just 2 a month)? What could all that valuable time mean to you? More time with your kids? More time enjoying your favorite hobbies? More time contributing to others? More time to learn and grow? More time to throw up your feet and enjoy life? Regardless of everything you’ll gain from using Action Enforcer, for a limited time, I want to offer it to you for very little – an introductory price of just $27. I’m offering this discount as way of introducing this revolutionary product to the world – to get people using and talking about it. Get your copy now, because I’ll eventually be raising the price, I just can’t say when. It largely depends on the momentum the product builds right out of the gate. So I expect it to be sooner than later. Inside you’ll discover 23 proven strategies for helping you take more action each and every day. Speed through your day like you’re driving with your foot to the floor! Get your brain to quit telling you ‘NO’ and get it to start telling you ‘YES’! Your 60-day, 100% Money-Back Guarantee! Grab the Action Enforcer now and use it every day, as much as you want, for the next 8 weeks. 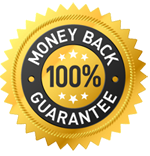 I’m so sure you’ll love it that I’ll give you my 100% unconditional, 60 day guarantee! I mean, if you’re not absolutely thrilled with using Action Enforcer, and the incredible results it helps you produce on a consistent basis, then simply request a full refund. When you click the order button below, you’ll be taken to a secure order page where you enter your credit card information (you can pay via PayPal as well). As soon as your secure transaction has been processed, you’ll be forwarded to a page where you can download the Action Enforcer software, including the bonus, a quick start guide, user’s guide, and everything you need to quickly start reclaiming time you perhaps never even knew you were frittering away. The whole process is quick and easy. You’ll be ready to go in just minutes. Order securely, anytime, day or night. Within minutes you can be harnessing the incredible power of Action Enforcer in your life. P.S. Of all the things you can improve in your life, your ability to take action is one of the most important – hands down! Use Action Enforcer risk-free for the next 8 weeks and finally experience what it feels like to Get More Done! P.P.S. Think about this. If some tool could save you just 1 hour of time, wouldn’t it be worth $27? You do value your time at more than that, right? But what if it could save you an hour every day, every day of the week, every week of the year? What would you do with that extra hour? Spend more time with the family or friends? Crank out more products? Sleep in? You now have the power to make that decision for yourself. P.P.P.S. Don’t take my word for it, these are real live people telling what they think about Action Enforcer! I know I have a problem with time management and have used different timers and time management software in the past, but Action Enforcer is really and truly different – and way more effective. With Action Enforcer, it was actually fun to try and beat the timer while working on my tasks. Plus, the feature that shows the projected time when all tasks for the day will be done is a thoughtful touch. Installation was a breeze, and Action Enforcer is very intuitive to use – I just watched the short intro video and was planning my day in just minutes. I can see Action Enforcer working to change my time management habits for the better, because I can review why I exceeded the time for a task – and learn to make better use of my day. What a great tool – a huge help to manage the most precious of resources – your time! I have to say it; This is just great! I started using ActionEnforcer last Wednesday. I must admit to initially being a little bit skeptical. I thought more or less like; Well, Action Enforcer shall control me, but in the end I have the control over Action Enforcer. Will it really do the trick? To my amasement, even though I was in control, and even though I had to extend actions more than once, it created just the right amount of urgency and helped me stay on task. Wednesday ended up being a very time effective day, leaving me with a good feeling. Then along came Thursday. I really didn’t get started using Action Enforcer as much as I ought to that day. Used it for only about 1/3 of the day. Even though I did my work, without using the program, Thursday wasn’t a very productive day. Friday I was back to employing Action Enforcer from the start of the business day. Again, an amasingly productive day. I finished more projects that day than I had initially expected. So, it really works, even for someone like me that thought it might not make such a big difference. Highly recommended! Dennis, You know what makes me really like this tool? 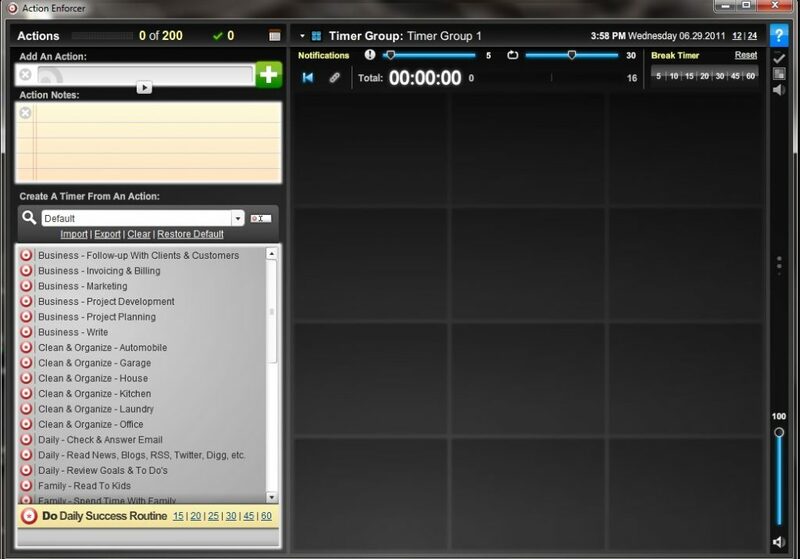 I create timers in Action Enforcer for work I’m doing for a client. I name the actions after the client and the particular task I am on. I pause them as needed to go do chores, restart them when I get back to work and stop them when I am finally done. No more writing sticky notes to myself about how long I have worked. Here’s why – To gauge how much time I have spent on a client’s work for billing purposes, I just run the report and all the information I need for my invoice is right there. No more frantic searches for my sticky notes! It helps me to stay focused and is a huge timesaver. Hi Dennis, Got it installed in a couple minutes without a hitch. I really enjoy your Action Enforcer software. First enjoyment is the graphic quality, which is superb. It is just pleasant on the eyes… Eye Candy if you will. The color scheme actually helps to separate the controls for ease of use. Clearly the interface was developed by an expert not a hodge podge last minute layout. It only took a few minutes to get it cranked up to work. Pretty easy. A neat feature about the timers is they can be linked or chained together. Meaning when one stops the next in the series will activate. Cool. I recall a marketer explaining part of his success was to work in 33 minute blocks, full out, and then rest for 5 or 10 minutes. By having the linking capability it is easy to schedule tasks and then drop in those short breaks. Then just hit start and the Enforcer keeps me on track and lets me take a scheduled break too. Being able to quickly shift the tasks order is excellent as well. The training quick start guide and videos were excellent too as they explained the Action Enforcer’s capabilities very clearly. Action Enforcer is an awesome tool! I’ve been using it from the day I downloaded. I read and applied all of the accompanying guide and I shamelessly have to admit that…. I managed to beat myself working on a task that I’ve been procrastinating on for weeks! As a business owner who operates a retail store and doing Internet Marketing between my working hours, I found that it’s hard to maintain focus on my marketing effort and keep my time accountable. In order to keep organized, I use several getting organized and todo list tools, but none really fulfilled what I really need… Until a few days ago when I found out about Action Enforcer. Reading through the sales letter, I was hoping that this was going to be the tool I’ve been looking for…. But will it deliver what it describes? And boy I was surprised! Dennis Becker’s Action Enforcer is not only capable to fulfill what was described in the sales letter, it also now becomes my official tool to get organized! For the last few days, I have employed Action Enforcer to keep track of what I’m doing. Online, offline. And I will keep it that way for a long time to come. Dennis, When I first began working with Action Enforcer, I just added my actions for the day with a time which is one way to use it. This quickly led to the realization that I didn’t allot enough time to some tasks, too much time to others, and wasted too much time looking at email (and the youtube videos in some). I guess spending too much time with email had crept back in when I wasn’t paying attention. That’s another thing AE has me doing, paying attention to my tasks. I am certainly more focused on getting them done using AE. It kept me moving along when writing my blog post each day because the timer was counting down. No stopping to get swept off on some other thought stream. And then I was quickly jumping right into my work for my client even though I haven’t tried linking the timers yet. A feature I like, which others might consider silly, is that the green check mark flashes when I stop the timer upon completing an action. It really makes me feel good and like I accomplished something, which I certainly did. Having Action Enforcer available has made me finally start to get organized. You can’t enter action lists if you don’t know what actions to take. I am in the process of developing one for each day of the work week and then others like one for setting up MMS by Michael Gunn’s system he so kindly provided within the Earn1KADay membership. Great group of people within Earn1KADay! I’m looking forward to becoming even more organized and efficient using Action Enforcer. Who knows just how much I can actually accomplish in a day? With Action Enforcer, I’m looking forward to finding out. When I heard about Action Enforcer I was excited to give it a try. I’d heard stories of friends working with similar systems and how incredibly effective they were at improving productivity. I was skeptical, and I’m always looking for ways to get more results oriented work out of my day. Everyday since has been even more productive than the first. If you struggle with staying on task, managing your time to get the most out of your day, or you’re just a poster child for ADD like I am, you owe it to yourself to put Action Enforcer to the test. Action Enforcer is the best time management tool I’ve ever used! I used a Franklin Planner for a long time and have tried a couple of different computer apps over the past few years to help manage and track tasks but none were as simple and powerful as Action Enforcer. It’s super easy to enter your tasks into the time blocks and track what you’ve accomplished at the end of the day or week. You can also plan your day, week or even month ahead of time so you know exactly what you need to get done at a glance and the timers keep you on track. I’m amazed at how much more I get done since I’ve been using Action Enforcer! Dennis…..I have just watched the videos and set up Action Enforcer and IT IS BRILLIANT!!!!!!!! This is the kind of program that I have spent hundreds on trying to find. I have downloaded about 6 iphone apps (at a cost of around £40) as well as other monthly To-do list action programs but THIS is the program that I would have created if I had the skills. I love the default list of everyday activities that you include and the reports that it creates which will really help me to see where my time goes and to answer the question set out in Tim Ferris’s 4 Hour Week book, “Am I being productive or just active”. There is a huge difference! Thank you very much for creating this and for letting us have access to it. This is going to make a huge difference to my life (that might sound dramatic but it’s true!). PS. And your PDF about how to use time better is superb! I recently had the pleasure of reviewing an early copy of ActionEnforcer, courtesy of Dennis and I totally LOVE it! I am a huge procrastinator (really BAD habit btw) and I tried out ActionEnforcer this weekend and noticed a big increase in productivity and staying on task. ActionEnforcer allows you to create Action Lists (Timer Groups) with various tasks, and set a timer for each tasks for the amount of time you want to spend on it. For instance, my Action Lists include a Timer Group for Daily Tasks (such as checking email, responding to clients, forum time, surfing, etc, for Weekly Tasks such as invoicing clients, paying writers, pay bills, etc. I also have Action Lists (or Timer Groups) for specific projects, such as a client ebook I am working on, with tasks set up for various sections and timers to complete each task. Dennis also suggested creating one for a sales page formula, so I did THAT as well, and also because I plan on writing a book sooner or later, I set one up for that too, and broke it down into tasks with timers. What’s nice is that you can make these Action Lists as specific to a project, or as generic as you want to use over and over. You can also create a custom daily Action List that includes timers for a specific project you are working on, and daily tasks as well, and set it up for a full day of productivity, so that it moves automtatically from one timer to the next, one task to the next. You will have a full days worth of work done before you know it! ActionEnforcer allows you to create up to 50 of these Action Lists (Timer Groups) as well as assign unique timer sounds to each one. 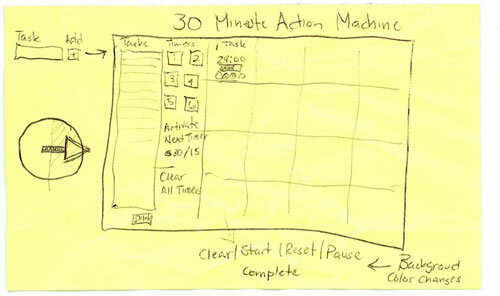 You can also add specific notes to each timer, which is nice to keep track of details associated with a task. Really, this is a powerful little productivity tool that I am now going to try to start using every day. The timers themselves are very motivating simply because it supplies that needed little competitive urge, to beat your own time for each task. I highly recommend this program if you are at all like me, and tend to procrastinate and get sidetracked often throughout your day. I am addicted already and think it’s going to prove invaluable to me over time, and could for you as well! Wow, I love this program!! I’ve never tried Time-Boxing before and I am totally embarrassed to now see how much time I have been wasting through the normal course of every day. By constantly checking email for support questions and various forums to see what’s going on and checking out the latest and greatest shiny new program out there, I’ve been throwing away at least 30 to 40 minutes out of every hour that I had convinced myself that I was actually working! Action Enforcer gives you the tools to force you to really focus on a single task at a time and the built-in timers help block out the external distractions that are always constant while trying to work on the internet. I particularly like the ability to save a pre-set list of actions for each day of the week. I have certain things that I like to do every week on a particular day. Now I can simply pull up that day’s time group and everything is already laid out for me. If anyone is struggling to stay focused on a particular task or series of tasks, please give Action Enforcer a serious try. You’ll be amazed at how much more you get done and how much time is left over for the “other” things in your life (like home and family! ).